Please post here all network cards you want to be included in "Default NIC support" - small set of drivers for the most popular network cards. Limitation: drivers should be included into XP distribution of free for re-distribution. Realtek RTL8139 810x Family Fast Ethernet NIC (oem21.inf). VIA Rhine II Fast Ethernet Adapter (oem7.inf). I used the Drivers Script from Smiley but I dont see any embeded files or a INF-file so I dont know what the INF-file is. Actually, you guys listed the three most popular ones I think. And probably the ones that would need to be in there. Realtek had such cheap (but good) ethernet cards back in the day that everyone had a realtek network card (or compatible) and the VIA network drivers are good to have for anyone using AMD motherboards and the Intel network drivers should be universal for those Motherboards as well as most corporate PCs. 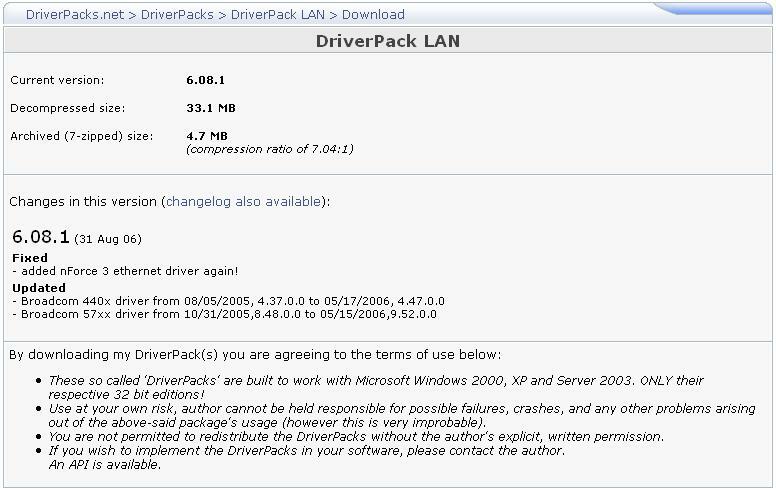 Maybe someone should check on the most common Dell network driver as well. Lastly, I don't think the number of drivers should be all that much of an issue, just have two scripts, the "1 meg" script that only adds a meg to the install and the "10 meg" script that adds a lot more network drivers at the expense of space. Originally, what got me into modpe was the space savings, but now that we're starting to add things back in, it's good to be comprehensive, especially since people keep showing up here expecting a replacement for BartPE. 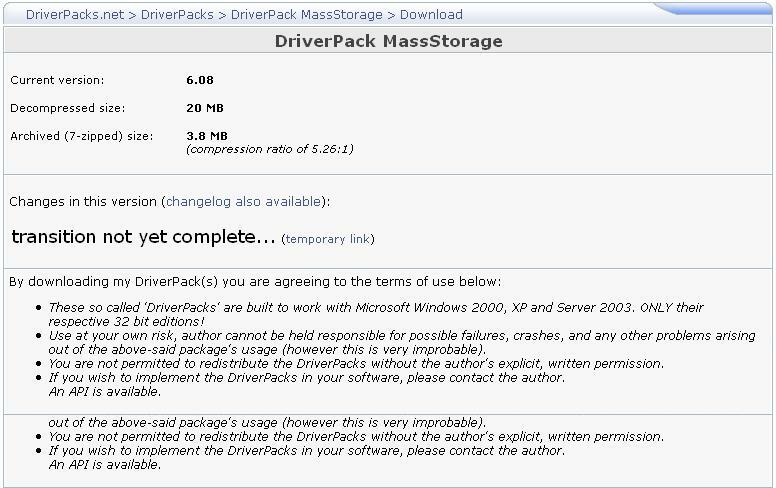 I agree on "minimal"(1mb) / "most popular" (10mb) sets of nic drivers. Though, in the future it may be 3rd script with "all nic drivers" that would allow seclection by "family" or something like that. How about try this link..
Do you have direct download links? The site is rather tricky. Unfortuntely, I can't allow execution of encripted java script on my PC. Is it not strange? For my NIC, VIA Rhine II Fast Ethernet Adapter is oem10.inf???? You then have the option to back these up in a nominated backup file depending on the 1,2 & 3 options above. By the way I have no affiliation to the program developer I just find it a useful backup util? Here is a link if anyone is interested? I've attached a script for your card. Place it in the 'network' folder under 'drivers' and see if it works for you (I am unable to test this myself as I have a Broadcom card). I'm not sure whether the CAT is really necessary. When Galapo's driver script has success, please open the script and comment the line where it is copied. Rebuild and post whether it is still working or not. yes, I'm not sure if it is either. But it is there in case it is and can be commented out easily enough if it isn't. Wow! Many thanks for the script Galapo I will indeed try it out & get back to you know the result. I'm also going to condense the amount of program scripts within Winbuilder (As Peter Suggested) to reduce the size of the .iso & hopefully reduce the error messages in the log.html. The reasoning being the less I load the less chance there is of it going wrong - Good TIP Psc. Do you think it would be prudent to cross reference your script & observations with a link (Or even post it in the Winbuilder with the "Frustration no Network Detected" posting) so that anyone visiting here or there for that matter could have access to both the background info & your script (that is in the context of Via Rhine III fast ethernet adapter driver that is)? The only reason I am proposing this is that Jaclaz (& he has got a point) is keen on our discussions being topic orientated, easily traceable & it may prove helpful to others (Just an idea)? ... and can be commented out easily enough if it isn't. I have been fiddling about with Galapo's Via Rhine Script & have posted the results in the "Frustration No network card detected", Winbuilder section, why?